There are some things that we cannot forecast (IMHO). 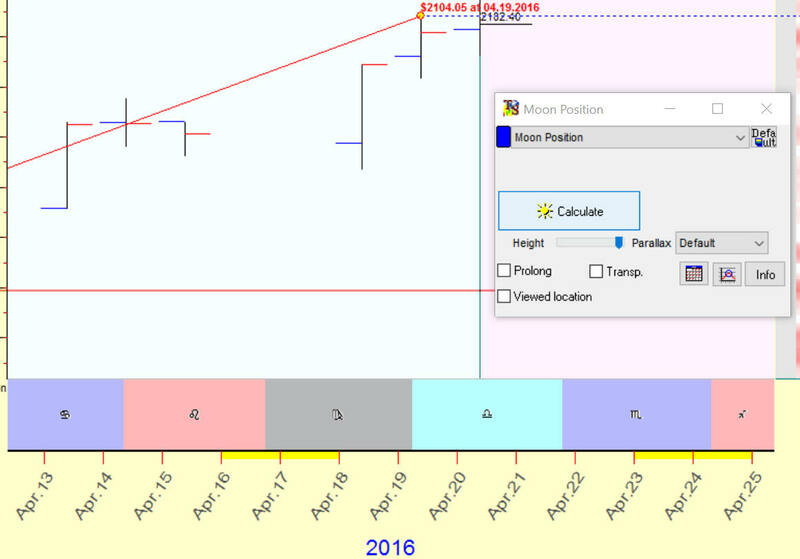 1) A projection line helps us to forecast turning points, and users often ask me: Can we forecast price levels? method to define the forecasted price level? I have often thought about this problem of price projection and I think it may well be impossible when we consider the basic premise here is that we are using things that are a derivative of time whether they are cycles or astronomy or whatever they're all about time they are not, with my lack of skills and ability at least, able to predict magnitude. I also think magnitude really is a function of the news or conditions of the day as we get in to these time periods when we would expect the cyclical up move. Hopefully somebody will be able to figure out price projections but I think they are extremely difficult to do… Oh they're easy to do… But I mean to be correct. My dear friend Tom demark has about as good of a record as anyone on long-term projections but the ins and outs of every day trading seem to escape most of us. I don't know, it seems to me we cannot put in one basket time and price, we cannot forecast them both at the same time. 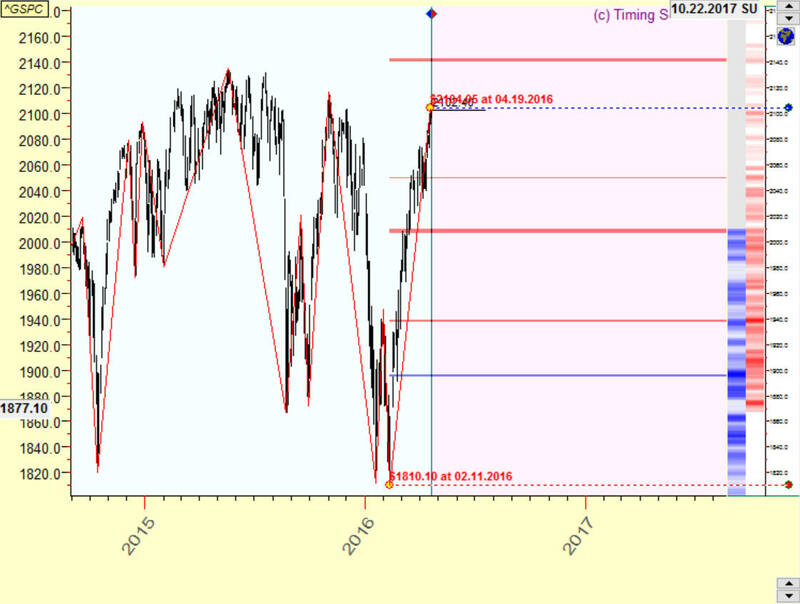 While we conduct cyclical analysis, we are working under terms of TECHNICAL ANALYSYS, i.e. we assume that all World information is already incorporated in the price, so we could analyze the price and only the price. Till that moment everything works Ok, but then, at some moment, some NEWS comes and smashes out our nice painted picture. We speak now about FUNDAMENTAL ANALYSIS - news, reports...- all external things that shake the stock market. I really do not know how to forecast the reaction (hence the price) to all these events, this is beyond of technical analysis (hence cyclical analysis). I think that the price goes the same way as the electron in the atom: it jumps from one price level to another due to some coming news. News is the same for the price as the/emitted energy for the electron. And we don't know that energy, i.e. a probable reaction on a news that will arrive. 2) We have exactly the same story with invertions ( http://www.timingsolution.com/TS/Mini/113/index.htm ): at some moment, the cycle begins working in the inverted mode. I believe this is somehow related to the news as well. Watch the moments there when the Moon enters different signs of Zodiac. Speaking astrologically, these moments correspond to the moments when human mood changes. Accordingly we can expect possible changes in the stock market, immediate or delayed. This is just a hypothesis, nothing else.